Difference Between Mercedes-Benz Service A and Service B? Whether it’s replacing a flat tire, delivering a jump start, or providing fuel should you accidentally run out, Roadside Assistance can provide help when you need it most, 24 hours a day, 7 days a week. Now there’s an even easier, more convenient way to get the service you need when you’re on the move. With the complimentary Roadside Assistance Mobile App, you can quickly contact Roadside Assistance to alert them of any issue you’re having. Plus, it’s GPS-enabled to identify your location and has a tracker to let you know when help will arrive. To learn more about Roadside Assistance, speak to one of our knowledgeable Service Advisors or click here. To get your complimentary Mercedes-Benz Roadside Assistance Mobile App, choose from one of the links below. 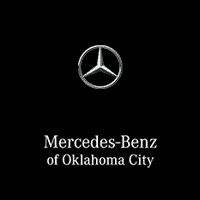 Mercedes-Benz of Oklahoma City	35.611246, -97.495656.